Well done to both Michael Markscheffel & Debra Bookbinder for completing all the requirements & becoming speciality instructors in PADI Deep Diver, PADI Wreck Diver, PADI Enriched Air Diver, PADI Digital UW Photography, PADI Emergency Oxygen Provider & AWARE Shark Conservation. 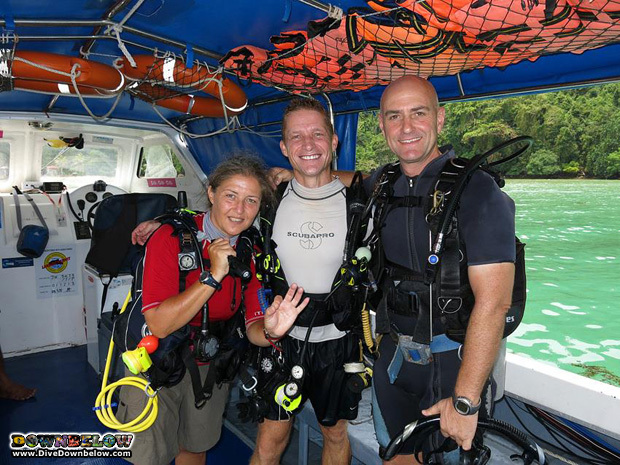 Michael and Debra were graduates from the July PADI Instructor Development Course (IDC) and now they have expanded their teaching repertoire and well on their way to becoming Master Scuba Diver Trainers. The speciality instructor training was conducted by resident Platinum PADI Course Director Richard at Downbelow’s 5 Star IDC Dive Centre, Malaysia. Find out more about these training on our PADI Speciality Courses page or contact us! Good job Michael & Debra!